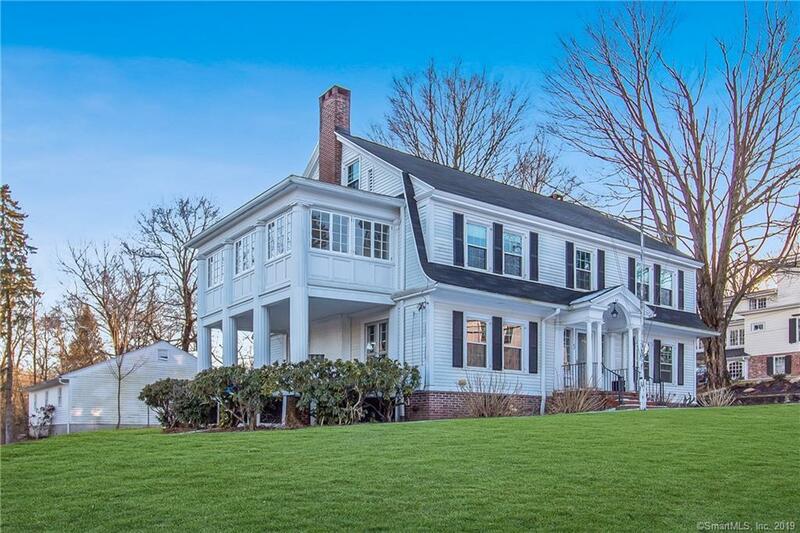 Fall in love with this inviting Stately Colonial with 6 BEDROOMS AND 6 BATHROOMS!! This home offers a perfect combination of timeless tradition and character, mixed with modern amenities. Newer roof, newer mechanicals, Butlers pantry off of kitchen, with large rooms throughout. Gleaming hardwood floors, open living space perfect for entertaining. Over-sized Living room with gorgeous custom fireplace that leads to a covered porch, and lots of natural light. Attractive back and side yard area with detached 3-car garage. Walking distance to Taft school and all local Amenities set on a dead end street. Surrounded by many historic homes brings the history to life in this area of town. WELCOME HOME! Directions: Woodbury Rd To The Green Left On Academy Hill.